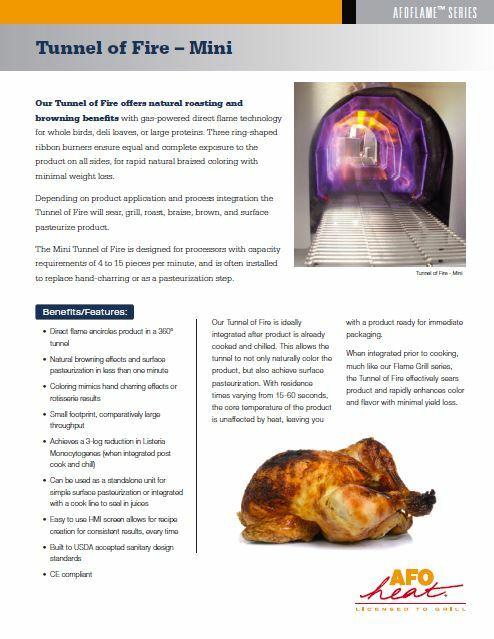 Our Afoflame™ Tunnel of Fire™ offers a rapid solution for surface pasteurizing whole birds, large bone-in products, and deli meats. Our patented process is integrated after your product has been cooked and chilled to 35°-39°F (2°-4°C). Using multiple ring-shaped ribbon burners, our Tunnel of Fire completely encompasses the product surface in direct flame. Residence times typically vary from 30-90 seconds, allowing lethality to be achieved. This system can also offer the benefit of color and flavor development by extending the residence time to achieve the desired results. 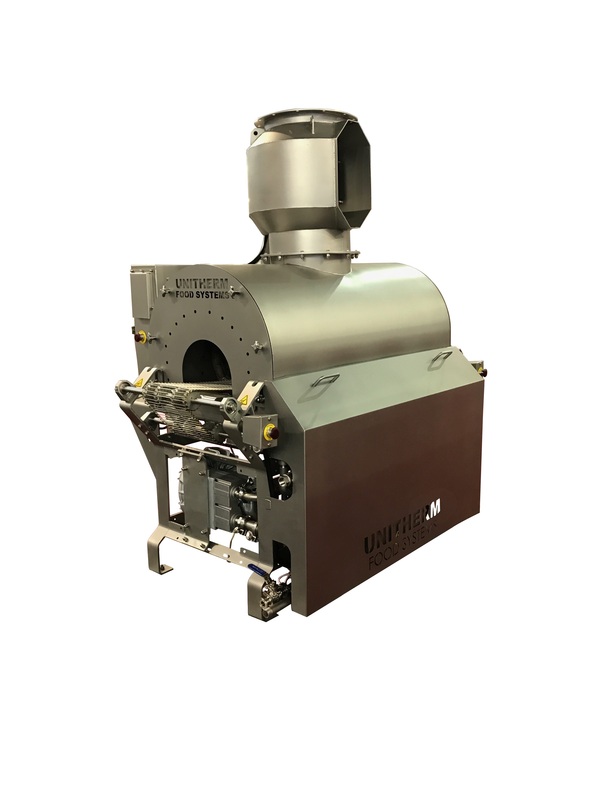 Due to the short residence time, core temperature of the product is unaffected, leaving it ready for immediate packaging upon exit.